Shape each dough piece into ball. Flatten to 3-inch round. Dip one flat side into egg whites, coating one side only. 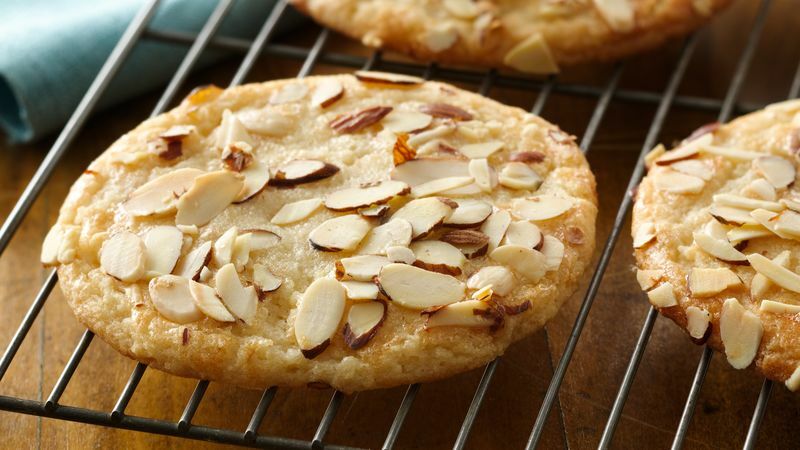 Place coated side down onto almond slices. Lightly press to coat with almonds. Place 2 inches apart on cookie sheets, almond side up.